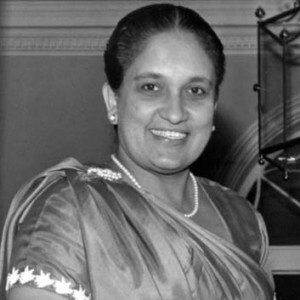 Mrs. Sirimavo Bandaranayake was the first woman ever in any country to become head of government. On July 21, 1960, Bandaranayake became Prime Minister of Ceylon (as Sri Lanka was then called). She championed the Sinahlese majority to the detriment of the Tamil minority through the Sinhala Only Act, and repatriation of the “estate Tamils” to India. Leader of the Freedom Party, Bandaranayake was re-elected twice to the post of Prime Minister, first in 1970 and again in 1994. She died in 2000 at age 84. 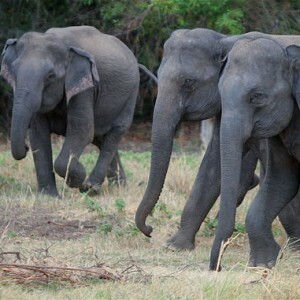 From July to October, hundreds of wild elephants gather every evening along the banks of the Minneriya reservoir for food, water, shelter. The Gathering, as it is known, takes place during the dry season in the North Central/Eastern Province. The elephants convene here as their natural water resources in the area dry up. The Minneriya Reservoir was constructed in the 3rd century AD and is filled by the monsoon rains. Minneriya National Park is also home to a wide range of endemic reptiles (e.g. red lipped lizard ), mammals (e.g, purple-faced langur) and birds (e.g., hanging parrot). Michael Ondaatje is an internationally renowned author who was born in Sri Lanka and now lives in Canada. 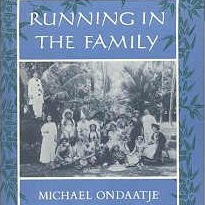 One of Ondaatje’s best known and acclaimed works is Running in the Family, a poetic memoir of his childhood in Sri Lanka. His award-winning novel, The English Patient, was adapted into a movie that was honoured with the Academy Award for Best Picture. His works often reflect his deep roots in Sri Lanka, and immigrant newcomer experience in Canada.